After expanding its services to the UK last year, Sydney-headquartered PLAYGROUND XYZ (Playground) has rolled out its offerings across multiple Asian markets including Singapore, Malaysia, Hong Kong, Philippines, Indonesia and Thailand. The young marketing technology company – which uses a proprietary platform to author innovative new types of mobile ad formats – said it has undergone strong growth with over 90 top brands using its technology across more than 300 campaigns in the past 12 months. 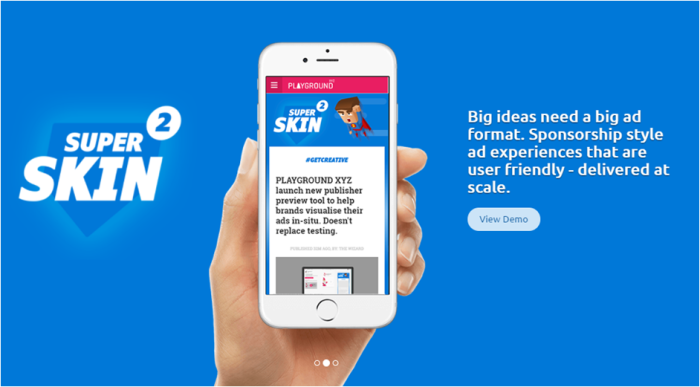 Playground said its ad formats aim to drive maximum branding and yield outcomes while being user experience focused. “The first step was to find a way to get everyone on the same spec so the one creative build could run en masse. We’ve worked collaboratively with the industry and we now have products like our SuperSkin – where a single creative build will work across all the leading sites,” he said. The products are then delivered using the company’s core technology which adapts the creative on the fly, to fit with the layout needs of all the different websites. Publishers using the technology include Daily Mail, Nine Entertainment Co, Fairfax Media, Multi-Channel Network, Southern Cross Austereo, Gumtree, Bauer, Mamamia, Conversant Media, Future Publishing, SBS, Perform Media, Huff Post, Ziff Davis, Asia One, International Business Times, The Independent, Asia Correspondent, Tech Wire Asia, FourFourTwo, Goal, The Inquirer and Malay Mail. The last piece of the puzzle is to finding the best way to connect its buyers and sellers to transact. “To that end we launched our marketplace, called the Playground Private Exchange earlier this year. We’re now able to help demand and supply come together to trade these products programmatically and that has massively fuelled adoption,” Hall added. With virtual reality advertising taking shape, the industry is ready for a huge transition and opportunity to reshape digital adve.. This is to bring customers Disney-brands shopping experiences and exclusive product lines. ..